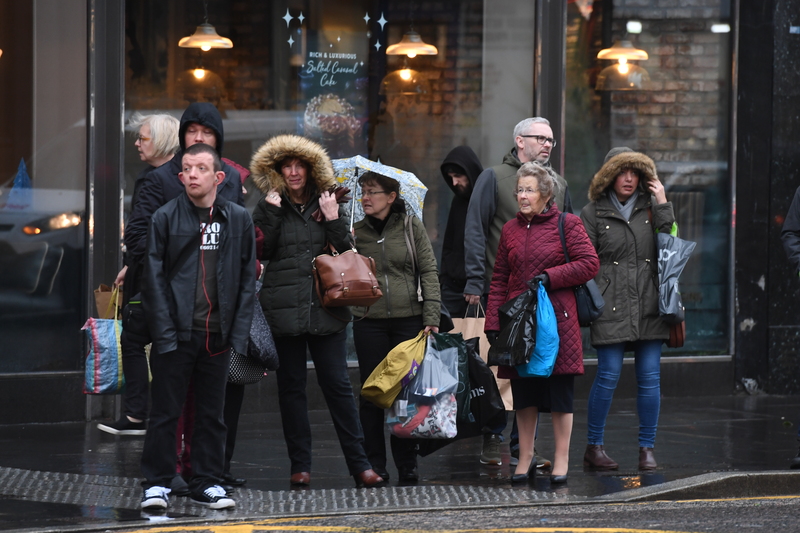 It was a rough day for people in the north east as torrential rain and fierce winds battered the region. Winds reached 60mph in some areas and flood warnings have been issued with forecasters predicting the stormy conditions are set to linger. 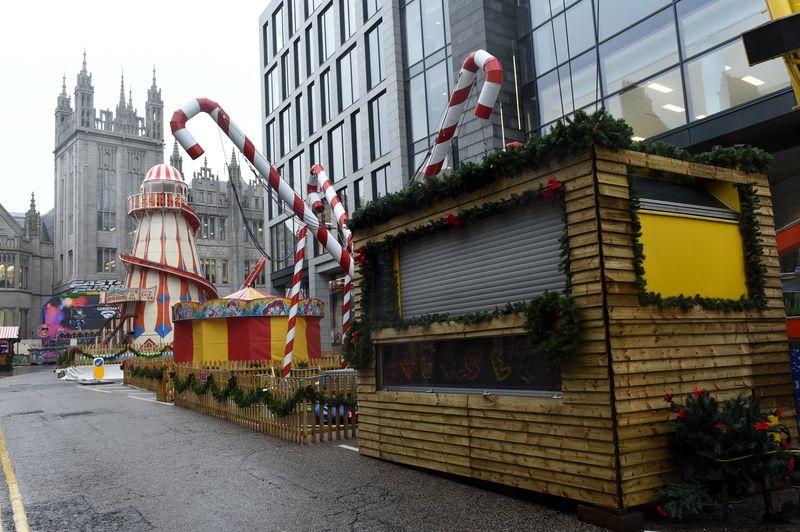 In Aberdeen, as a consequence of adverse weather, the city’s Christmas Village was closed, with rides, stalls and its ice rink out of action. A spokeswoman for Aberdeen Inspired said: “Due to the inclement weather, the Aberdeen Christmas Village is closed until further notice today. “We will continue to monitor the developing weather pattern and will make a further announcement on its re-opening in due course. In Aberdeenshire, Inverurie Academy was forced to cancel a double-decker bus due to high winds. School bosses alerted pupils that Stagecoach had informed them a single decker replacement would be running for the Insch run, and pupils were forced to wait behind in the school hall while they waited for an additional bus. In an updated post, via the Aberdeenshire Council school alert system, the academy apologised for any inconvenience caused. Moray fared slightly better than its southerly counterparts, with a clearer start to the day. However, clear skies later were replaced by a wet and very windy evening with buses and motorists affected on busy roads. Across the region, bus, rail and ferry routes were also impacted with many organisations issuing warnings of delays. The 5.30pm MV Hrossey ferry, scheduled to depart Lerwick en route to Aberdeen, was cancelled due to high winds, along with a later 7pm service. Today, transport bosses have brought forward times on the same route, with a boat scheduled to depart Lerwick and arrive in Aberdeen by 7pm. 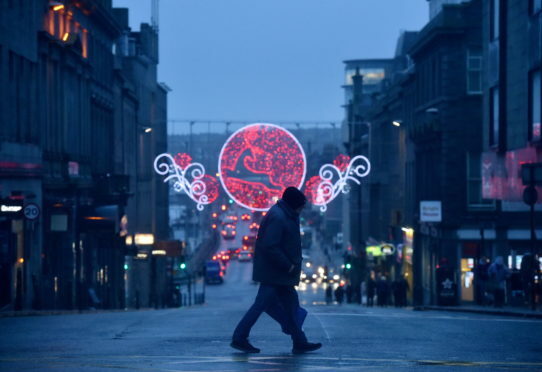 The Met Office has warned that a clear and crisp December was unlikely to appear, and that conditions today would be similar to that of yesterday. A spokesman said: “A very unsettled spell of weather is expected, with strong winds, combined with widespread and, in places, heavy rain. “ Winds of 60 mph are expected, with a few more exposed locations seeing 70mph. “Winds will also turn west to southwesterly across Northern Ireland and western Scotland later, transferring the main focus for strong winds here, then finally to northern Scotland through the evening. “The strong winds will also bring some rough seas and large waves, with some coastal impacts possible.